Subject to the second meaningful vote in the UK Parliament, the UK is set to leave the EU on Friday 29 March 2019. Continued uncertainty means that the NHS and wider health sector is now planning for three scenarios – leaving with a deal; leaving without a deal, or one which sees the extension of the article 50 process. A “no deal” scenario means that the UK leaves the EU without a deal and that the UK would become a third country, with no withdrawal agreement or framework for a future relationship in place between the UK and the EU. The UK and the EU both state that this is an unlikely but possible outcome of the current negotiations. There is a lot of contingency planning being put into place to prepare for a “no deal” Brexit but this depends on both the UK and EU making decisions in best interests of patients. The prospect of a no deal scenario is not a good one for patients across the UK and EU. In the case of a no deal, the UK may no longer be eligible for participation in some EU organisations, networks and collaborative programmes. The UK is likely to deal with this situation by looking to adapt or create autonomous domestic systems, in the short-term at least, to mirror, or align with existing EU standards in order to maintain continuity and avoid disruption. They then will aim to develop new agreements and systems in the longer-term. However, the fact that UK plans to align legislation in the short term does not mean that this will necessarily be reciprocated by the EU. It is already having an impact on pharmaceutical research in the UK. Medical research ­firm Recardio has suspended all UK activities due to uncertainty about how new medicines will be approved after Brexit. Also, the UK coordinators of European Reference Networks have already been asked to transfer their leadership to counterparts in EU 27 country and the 114 NHS trusts currently involved in European Reference Networks will be excluded. This is a loss of expertise to the UK and EU on rare diseases. For medicines, 45 million patient packs go to the EU from the UK every month, and 37 million patient packs go from the EU to the UK. In the short term, there could be delays in importing and exporting medicines and medical devices due to new border arrangements, requiring stockpiling and good supply chain management to ensure there will be no shortages. The UK would also would lose access to joint market surveillance and vigilance mechanisms on medical devices and medicines. Our future relationship with the EMA is yet to be established. The ending of reciprocal healthcare agreements could disrupt patient care, effectively leaving UK nationals in the rest of the EU currently in receipt of medical cover through the S1 scheme without health care. The arrangements in place for the European Health Insurance Card, which allows travellers to access the same level of state-provided emergency treatment as a resident of the country they are visiting, could also come to an end. In the event of “no-deal”, the UK would cease to be part of EU public health networks and bodies such as the Health Security Committee and the European Centre for Disease Prevention and Control, including access to all associated alert systems, databases and networks which allow the UK and the EU Member States to coordinate national responses. While the UK has national systems in place, there is clear mutual benefit in shared systems and preparedness. New immigration rules could affect how the NHS recruits doctors and other medical staff from the rest of the EU, and there may be changes to current rules around the mutual recognition of medical qualifications. 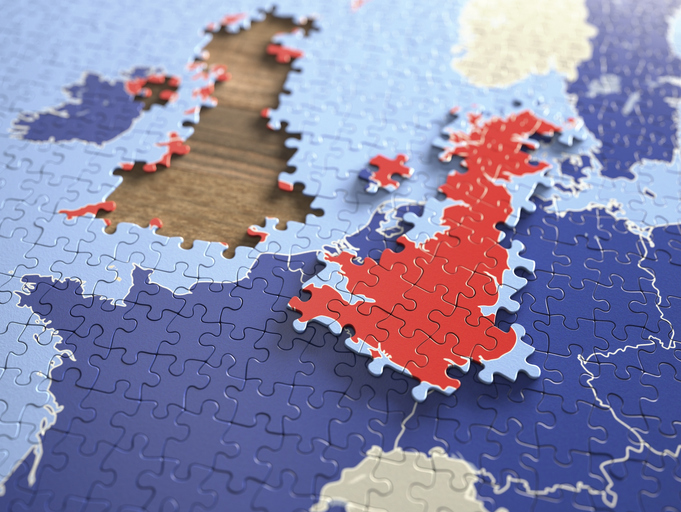 The NHS Confederation is co-Chair of the Brexit Health Alliance (BHA) which is working with stakeholders from across the sector to make sure that no matter the scenario, there should be no negative impact on patients. The BHA is working closely with government departments and agencies, including the Department of Health and Social Care and NHS England, to scope the issues, inform the government’s Brexit negotiating position and support contingency planning. Our members liaise with their counterparts in the EU27 who have held meetings with the European Commission’s Article 50 negotiating team and with members of the European Parliament, to highlight the consequences for patients across the EU and urge both sides to put patients first. Another important alliance is the Cavendish Coalition, which focuses on workforce issues. The Coalition has been clear they value our European colleagues in health and social care, and want them to stay. Whatever the sector, employers need time to transition to a new way of managing workforce supply and they also need both clarity and certainty on how a post-Brexit migration system will work. Our NHS European Office and the Brexit Health Alliance therefore has much to do before the vote on the deal is finally put to Parliament to make sure that patients are put first. Dr Layla McCay is the NHS Confederation director of international relations.